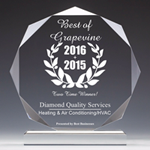 Diamond Quality Services is proud to serve the Colleyville community! 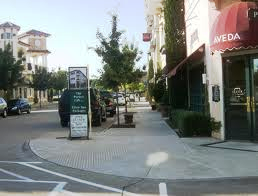 About Colleyville, TX - Happy to be your hometown Heating & Air Conditioning Contractor! The city of Colleyville is located in Tarrant County, Texas, approximately twenty-five miles northwest of Dallas and fifteen miles northeast of Fort Worth. Originally settled along the banks of Big Bear Creek in 1854, Colleyville was primarily a rural farming community until its incorporation in 1956, when it began to experience significant residential growth. Today the city of Colleyville is home to approximately 23,000 residents who enjoy the convenient proximity to the considerable amenities of the Dallas/Forth Worth Metroplex and the pleasant seasonal climate that produces hot summers, warm winters, and lovely moderate weather during spring and fall. The city of Colleyville is well equipped to handle business and private events of all types with the newly renovated Colleyville Center, an elegant and functional meeting venue that boasts banquet seating for 360, theatre seating for 500, fully-equipped catering kitchen, performance stages, outdoor amphitheater, professional sound and lighting systems, and a full range of state of the art audio-visual equipment. The city is also home to a number of parks and recreational facilities that provide a wide variety of programs and amenities for community members of all ages. Colleyville’s central location within the Dallas/Fort Worth Metroplex affords residents and visitors easy access to a host of recreational and entertainment venues located throughout the North Texas region!